The Booker Prize has always been a real rollercoaster ride, invoking strong feelings of love and hate for particular books in the hearts and minds of Anglophone readers the world over. I was surprised, then, to find that upon reading the summaries of the shortlisted books on the BBC, I was not immediately drawn to any of them in particular, as I had been in previous years. Compounding this somewhat tepid reaction was the fact that there were no previews available on Amazon, Google Books, or any other immediately obvious website, so that people could judge more quickly and easily which of the shortlist they might like to buy or which one they thought should win. This year's shortlist featured a few previous winners, such as AS Byatt and JM Coetzee, and the shortlist and longlist together also revealed a large number of previously shortlisted authors, such as Sarah Waters, Sarah Hall, and William Trevor. So, given a shortlist of such credentials and reputation, why did none of the shortlist really stand out for me? AS Byatt's "Possession" enraptured many a reader, and she has won the Booker before. 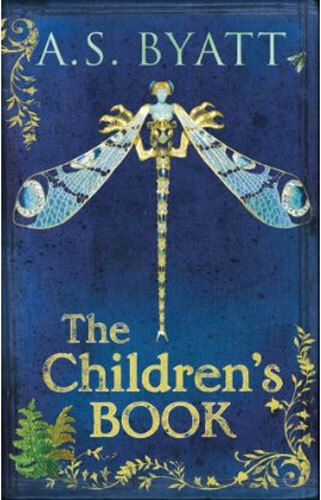 However, initial impressions of the nominated The Children's Book are of pretension, and Amazon reviewers complain of a lack of purpose, although others compensate by praising its comparative accessibility when compared to Byatt's previous novels. Describing a family on the tipping point between an Edwardian summer and a post-war world, via history, politics and other themes, this 'cultural history disguised as a novel' may be what let Byatt down when it came to the crunch. It is difficult to judge a book without having read the whole thing, but flicking through a copy at my local bookshop today, no phrases or ideas really seemed to jump off the pages at me or made me want to read on. 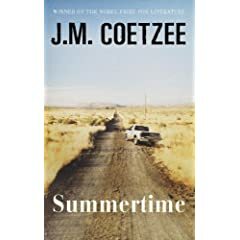 JM Coetzee is another previous winner and it's easy to see why he was in the running again with Summertime - not just due to the British love of the memoir but also due to his precedent for high standards. It is the third in a trilogy (preceded by the unceremoniously-nicked-from-Tolstoy titles, Boyhood and Youth), so may be difficult to read as a stand-alone work or for others to pick up without having read the other parts of the trilogy. Reviewers describe it as unconventional, clever, and well-written, and it is possibly the most intriguing novel on the shortlist, along with Simon Mawer's efforts. Adam Foulds' The Quickening Maze, along with Mawer's shortlisted novel, was the only one that I was unable to get any sort of preview of at all (unfortunately the bookshop I visited did not have it in stock). While lauded for its minimalistic and atmospheric beauty, Amazon reviewers also lambast it for its disjointed and confused purpose, which makes it sound like the idea started well, but that the author got lost along the way. Happily, with the poet John Clare at its centre, these criticisms are not enough to put me off sampling it completely. 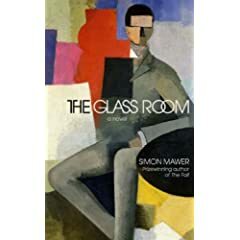 Despite the lack of preview available, Simon Mawer's The Glass Room strikes me as being the most inventive, original and historic novel on this year's Booker shortlist, covering old ground in a new way. Glass has also long been a successful motif in many classic texts, so when all of these things are considered, it is difficult to see why this was not one of the favourites to win (especially since the people have spoken, with the book achieving a high average of 4.5 stars out of 5 on Amazon). The only reason I can possibly think of is that the British public is perhaps slightly tired of stories featuring Nazi Germany (thanks to a restrictive history curriculum in school, this is often one of the only eras that young adults are really aware of in any detail). Sarah Waters' early work proved itself to be good, but as time has gone on, the novelist's work has become repetitive across the years. She has been nominated for the prize before (Tipping The Velvet, The Night Watch) but lost out. Thankfully, there are no lesbians in her latest effort, entitled The Little Stranger. Reviews of the novel are very mixed: some laud Waters' skills of pace and atmosphere, while others criticise it; many point out a decline in general Waters standard over the years. All seem to agree, though, that it is beautifully structured. This polarisation among readers may be what cost Waters the prize. Before moving on to the eventual winner, though, it seems timely to give some attention to a few longlisters who missed out. William Trevor justly attracted critical acclaim in 2002 with his haunting and readable The Story of Lucy Gault, which was shortlisted for the Booker that year. 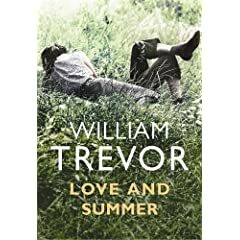 Reading the synopsis of Love and Summer (longlisted this year), though, it is clear that while Trevor writes exquisitely, this novel is perhaps more likely to be something read by bored housewives. One Amazon reviewer points out, I think quite correctly, that this latest effort is like many other nondescript Irish novels, is unmemorable, and is ultimately only squeezed out of old ideas. In the face of this, it is hardly surprising that Trevor ultimately didn't make the cut when compared to the standard of the other novels that made it onto the shortlist. The next omission, though, is far more surprising and glaring. Like Trevor, Sarah Hall has also been shortlisted before (in 2004) and lost out: her The Electric Michelangelo was a safe rival to the bookies' favourite that year (David Mitchell's Cloud Atlas), and the fact that they both lost the prize to Alan Hollinghurst is arguably a travesty. It is therefore doubly a shame that Hall was left off the shortlist with How To Paint A Dead Man, which proves itself in its preview on Amazon to be highly accomplished, and rendered even more unusual by Hall's employment of the second person in her writing. I'm glad to see she's still on form, and am sure that eventually she'll have her moment in the sun. But we must put all of this aside to come to the eventual winner, and bookies' favourite, Hilary Mantel's Wolf Hall. A true opus, this weighty tome is definitely something to get stuck into on an autumn afternoon. Brits love all things Tudor (cf. restrictive history curriculum remark) and have lately become enamoured with Margaret George's latest offering, which centres around aspects of the life of Elizabeth I, precisely for this reason, despite having shown little or no interest in her before. This is probably why Wolf Hall was set to win and duly won, although the book has not been immune to criticism from Amazon reviewers - those who did not enjoy the work cite its length, tedium and writing style as reasons why. It is perhaps a little disconcerting that neither of the left-out longlisters that I mentioned, nor the two lesser-known shortlist authors (Mawer and Foulds) had their works figure on the shelves of my local bookshop, which makes me wonder if perhaps it's really the bookshops after all who decide who should win. However, the propulsion to the number one spot in British book charts that Booker winners often enjoy means that Mantel's winning wonder is sure to provide an anchor to many a Christmas stocking this winter.